What would you do if you were working in a clinic where at least one day per week there was no electricity? What if there was no water for hours to days at a time? What if it was not uncommon for someone to bring in a dog for aggression and hypersalivation and have it test positive for rabies after a natural death? What if the tick-borne parasite Babesia was so prevalent that you had to hospitalize an infected dog with a PCV of 6%? All of these scenarios occurred in just two weeks of my experience volunteering at the Lilongwe Society for the Protection and Care of Animals in Malawi, Africa. Malawi has been called the poorest country in Africa and the least developed in the world; however, Malawi is also known as “The Warm Heart of Africa” due to the friendliness of its people. Blackouts are common in the areas that actually have electricity. Where LSPCA is located, Monday was the scheduled day for a blackout, but the week before I arrived, they had three separate days without electricity. The clinic has a few solar panels so that there is a minimum of lighting available. Twice during my stay, the water went out for over 24 hours. At the end of my stay, it had been out for 48 hours and hadn’t yet returned. According to the LSPCA staff, this was not a normal occurrence. Typically, the water went out due to a broken pipe somewhere and would return within a few hours. Nobody knew the cause for the extended water outages. The clinic had a large tank of water that we were able to use to fill buckets, but that was hardly convenient or sanitary. My flight landed in Lilongwe, the capital city, after a total of 26 hours of travelling and three separate flights. I was welcomed by Joe, an LSPCA employee who works as a driver and is a native Chichewa speaker. He translates for the veterinarians when they work out in the rural farms and villages of Malawi, where English is not commonly spoken other than a friendly “Hello!” when they saw me, a rare Caucasian outside of the city. 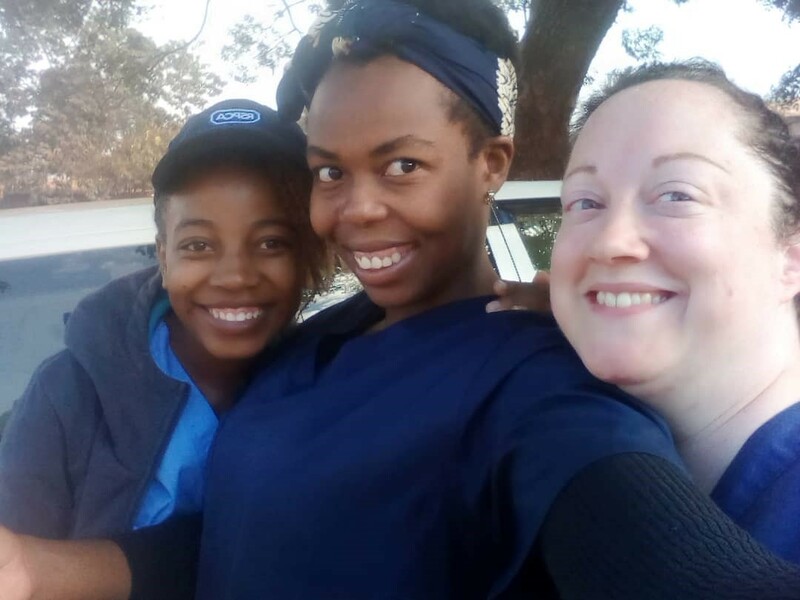 There are three full time veterinarians that work at the LSPCA and they are all from Zimbabwe. 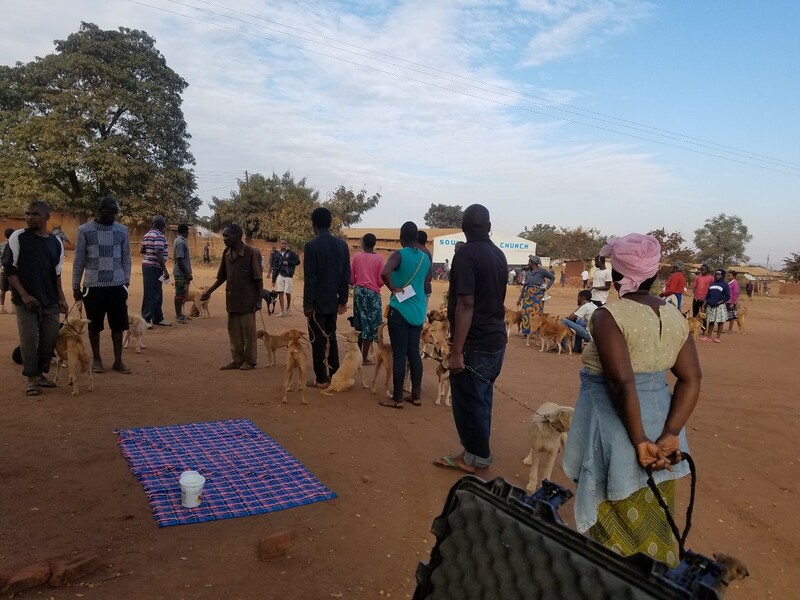 Malawi only recently started its first DVM program and LSPCA works directly with those students to give them hands-on clinical experience in the field with spay/neuter clinics as well as farm and village consults. A spay/neuter clinic in Malawi starts around 7:30 AM. The car is loaded with supplies that one of the veterinary nurses has packed up and then we all pile in. There are only a few paved roads in and around Lilongwe. Inevitably, our trips end with moving off the asphalt onto dirt roads that are full of jarring bumps and require a very slow speed. The clinic spends several weeks doing spay/neuter on Mondays and Wednesdays in one location. They don’t move on to a new location until there are no more dogs needing surgery at the first location. On Mondays, one vet from LSPCA is present and students do the surgeries with his guidance. On Wednesdays, two or three vets from LSPCA come and many more surgeries are completed. Upon arrival in the village, there will already be a line of people hoping to get their dog spayed or neutered and vaccinated. By the time surgeries were being performed, there was a line of 50-60 owners with dogs. Surgeries in the field are by no means perfectly sterile. There are three plastic folding tables set up so that surgeries can occur simultaneously. There is always a breeze blowing dust from the ground and leaves from the trees. Dogs are catheterized and induced on a blanket on the ground by veterinary nurses, then moved to a table when a surgeon is ready. Recovery also occurs on a blanket on the ground. The later in the morning it gets, the more dogs are laid out, side-by-side, waiting to wake up. 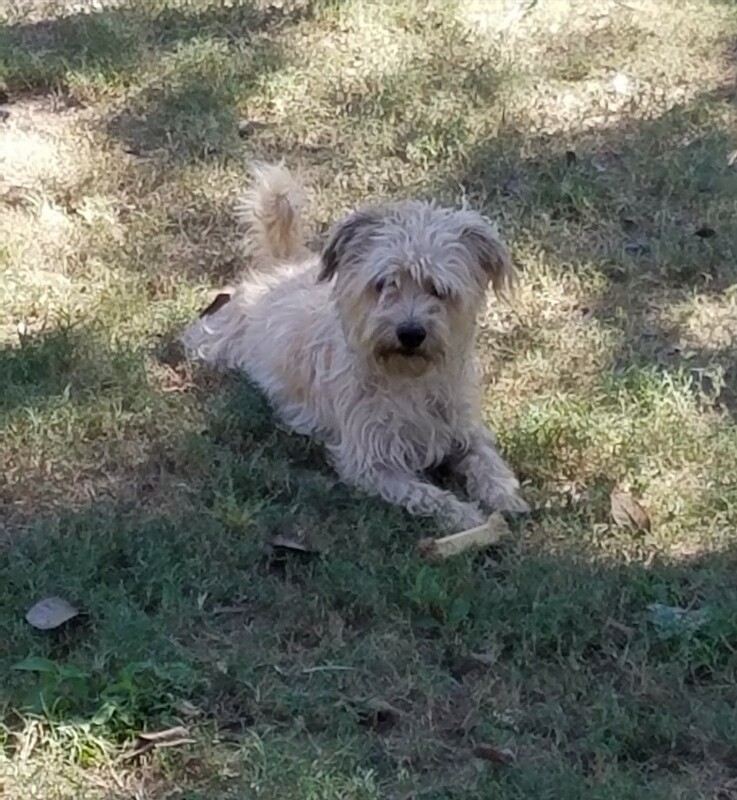 Occasionally, a dog would wake up faster than expected and there was instant chaos as it stumbled around and we tried to find the owner, who may have wandered off. Every dog that is spayed or neutered gets vaccinated, pain medication, and antibiotics. The owner is given an emergency contact number in case there is a problem. Eventually, Joe had to tell people that we were done for the day and to come back next time. 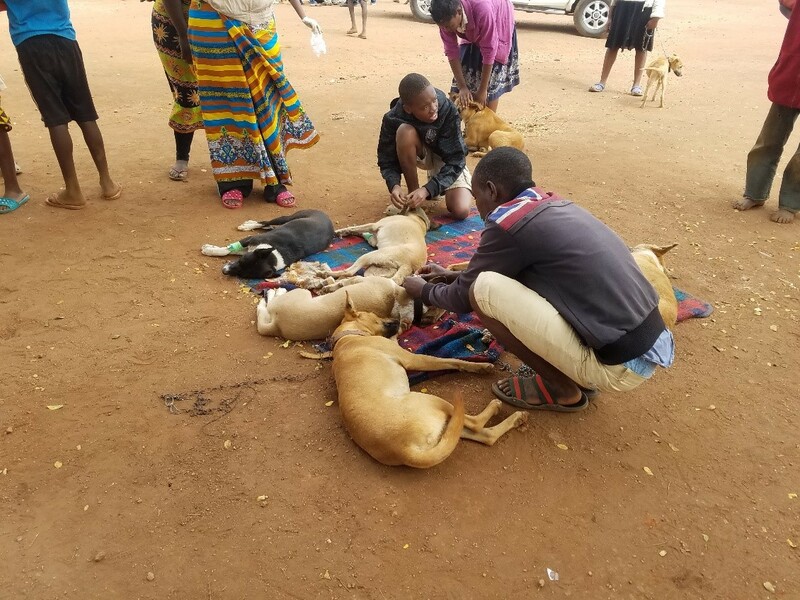 These pets are registered in advance so that they get done first at the next clinic because even in the Warm Heart of Africa, people get frustrated when they wait all morning and are turned away. On this particular Wednesday morning, the three vets did about 30 surgeries and at least that many dogs had to wait until next time. LSPCA is involved in every aspect of animal welfare in Malawi that you can think of. I was able to go on inspections of slaughterhouses and dog breeding facilities. I spent one morning at the Central Veterinary Laboratory in Lilongwe observing rabies testing. While I was at LSPCA, they had multiple dogs test positive for rabies. The vets were actually very concerned because it was more than usual. Inside the LSPCA clinic, there are areas for hospitalization and isolation. Animals in these areas may be owned by clients or may be strays that were relinquished and need additional care. While I was there, I saw dogs and cats that required various surgeries and long-term hospitalization for medical concerns. LSPCA is very dedicated to doing everything possible for the animals of Malawi using minimal resources. Nearly every weekday, a vet spends about half the day either doing rural farm or village consults. The village is notified ahead of time, and they gather in a designated area with their sick or injured animals. On some of these visits, veterinary students from the local school came along to practice their physical exam skills as well as the chance to administer medications. Many of the injuries are unfortunately due to the owners either overworking or abusing the animals, especially the donkeys. LSPCA also has a shelter on site for adoptable animals. They quarantine strays for a specific time period, provide medical care and sterilization, and then adopt them out to new homes. The dogs have a large exercise yard and a separate fenced in area with agility equipment. The cats are in two separate catteries outside with plenty of places to sleep and hide and lots of toys. Unfortunately, adult cats do not find homes very quickly in Malawi and some of them have been there for a long time. I enjoyed my time in Malawi and learned so much. The people I met were friendly and helpful. I am grateful to the veterinarians of LSPCA for the time they spent teaching and working with me. The number one lesson I learned, though, has to be that if the water is working, take a shower while you can! 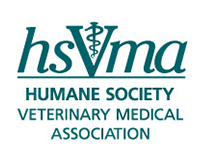 Samantha Swartzentruber is a third-year veterinary student at Purdue University College of Veterinary Medicine where she serves as one of the HSVMA Student Representatives as well as president of the Student Chapter of the American Association of Feline Practitioners and the Student Chapter of Association of Shelter Veterinarians. Eventually, Samantha would like to practice shelter medicine and perform high quality, high volume spay/neuter to assist in reducing pet overpopulation.